E-Z Fin™ (Finserts) are a quick and easy-to-install solution for adding machine threads to plastic. 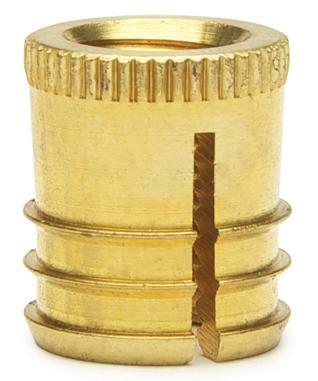 Simple press-in installation and OD fins distribute stress over a greater surface area to minimize the possibility of cracking and protect against thread erosion. 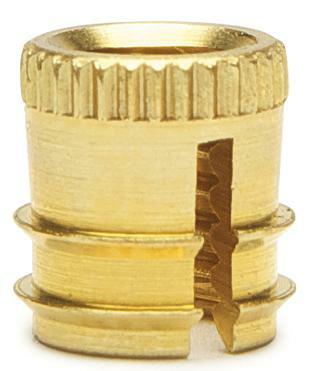 Machined out of brass, E-Z Fin™ (Finserts) are available in a variety of lengths. 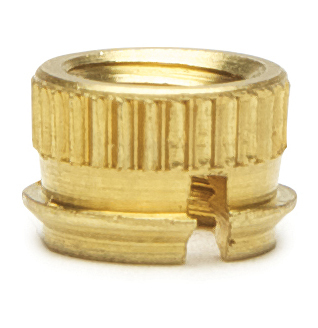 Internal thread sizes range from #6 to 5/16.